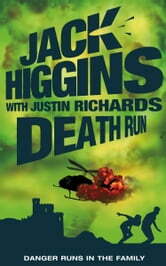 The phenomenally successful Jack Higgins teams up with Justin Richards for another sure fire bestseller for children. A mafia banker wants to defect and give evidence against his former bosses, and John Chance's boss Ardman is handling the exchange. But when the criminals realise they might be able to exert influence on Chance by getting at his children, Rich and Jade, the twins find themselves in the firing line. With a kidnapping in Venice and a shoot-out at a private school in England, this sequel to SURE FIRE will have both young and old Jack Higgins fans hooked.